What is the Biggest Casino in Honduras? - Casino Answers! 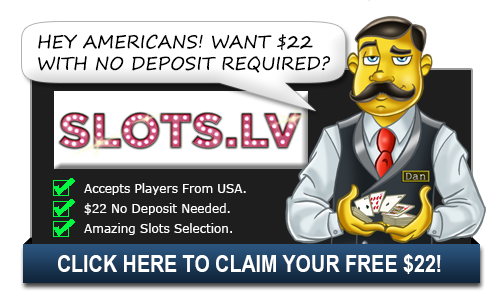 Casino Answers » Casino Trivia » What is the Biggest Casino in Honduras? What is the Biggest Casino in Honduras? As you no doubt know, the country of Honduras can be found in Central America, bordered by Guatemala and El Salvador to the east and west, while its northern and southern borders are on the Pacific Ocean in the south and the Caribbean Sea in the north. As Honduras was one of the many countries conquered by Spain, the official language of the country is, as you would expect, Spanish, and although Honduras gained independence from Spain in 1821, there is still a lot of Spanish influence in the country still, outside of its language. For example, the Spanish invaders that introduced Catholicism to Honduras, and it is the official language of the country to this day. Honduras has a growing economy, and although many of the population live below the poverty line, there is a lot of wealth in the major cities. And it’s in those cities that you can find the only two casinos in the entire country of Honduras. You can find one of those casinos, Casino 777, in the city of San Pedro Sula. Although, I would caution against visiting the city purely for its casino, as it does have a reputation for being a bit of a violence place. However, the other casino in Honduras and, in fact, the biggest casino in Honduras, is the Casino Excelsior, which is located inside the Hotel Excelsior and it is in the capital of Honduras, Tegucigalpa, as you might have expected. Now, the Excelsior Casino might not be challenging many of the other casinos you find in hotels, but it’s quite a nice place to unwind after a hectic day in the Honduran capital, and you can find a few slot machines to while away some time in front of, or if you prefer, you can play some blackjack or roulette on the casino floor. Even poker players can have their fun, as Casinos Excelsior offers Texas Hold ‘Em poker to its visitors. There’s even a big wheel that you can chance your luck on, if that’s your game of choice. The Excelsior Casino is open 365 days a year, so you have plenty of opportunities for a gamble if you are in Tegucigalpa. If you find yourself hankering for some food or a drink while playing at the Casino Excelsior, you can head to the Excelsior Café. Excelsior Café has more of a formal feel to it, and it serves breakfast from 6:30am until 9:30am and then dinner from 6pm until 10pm seven days a week. If you looking for something a bit more informal and want to enjoy a drink and a bite to eat, you can head to Casino Excelsior’s La Gondola Bar, which is a lot more casual and cosy. La Gondola Bar serves bar food from 4pm until 9pm, so you can take a break from the tables of the slot machine to grab a bite to eat and a cocktail, before you head back to continue that winning streak at the biggest casino in Honduras.